Courtesy of the Grant Historical Society Museum. 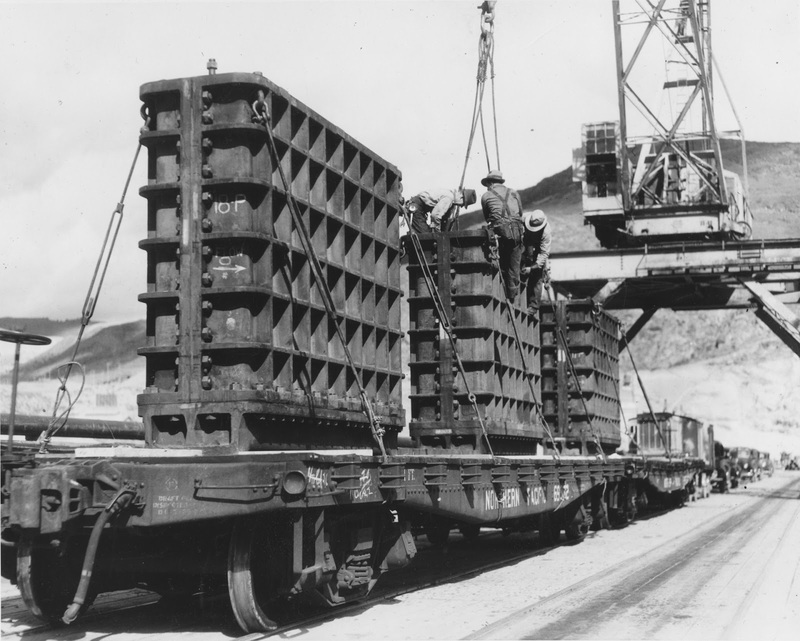 The railroad brought in many premade parts to the dam site. This load of ring seal gates for the 102-inch diameter outlet works, on top of the construction trestle along the face of the dam, will be lifted off the flatcar by the crane in the background.